So Deafblind Awareness Week is over for another year. For me it started with delivering a formal letter to our County Council on behalf of a number of families raising concern that our deafblind children have started to fall through the gap of social care and health provision. With all the cuts happening perhaps it is not surprising that we are feeling the effects of less money. So many services are becoming more and more target driven and we can no longer expect a consistent level of support. Professionals come and do a short piece of work to meet an identified need, write a report which is sent round to the rest of the team, hopefully people respond to the recommendations and the whole cycle starts again. The trouble is that the issues and barriers that come with being Deafblind don't go away. Families need ongoing support and professionals working with their children who understand M.S.I. Other families I know from our Sense family support group have experienced professionals with no understanding of multi sensory impairment who conduct assessments, express they can't meet the need of the child ( as they are so complex ) but do not offer a solution. This has a terrible effect on the whole family. When Chloe was a baby it took nearly 15 months to agree on a communication passport (the tactile, on body signs and objects of reference that enabled her to take a more active role in her life). 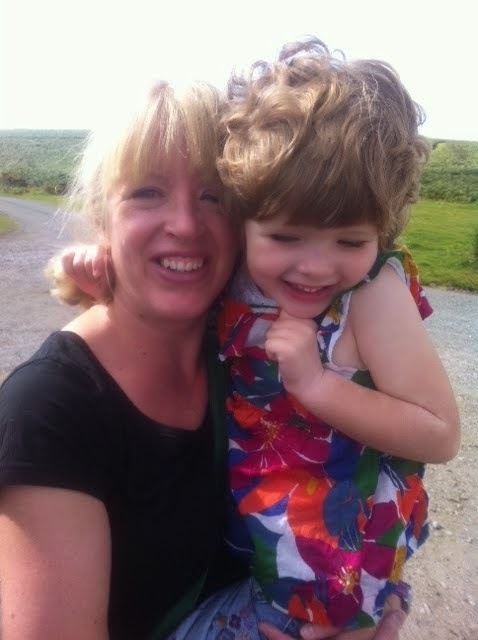 We have been lucky however that all the nearly 20 people involved in Chloe's care plan have been prepared to meet and puzzle out together how to teach her, support her and meet her health needs. I fear had she been born in 2014 we would be having a very different early years experience. The beginning of last week was about speaking up on behalf of our unique children. Parent power goes a long way and rather than being stuck with our offspring not being seen, heard or understood we decided to take action. I hope the matters we raised are being taken seriously and investigated. The rest of the week has been about sharing with others some of the new skills I have learnt through Chloe. 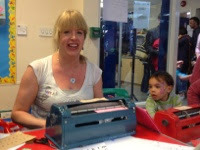 It was the school summer fair on Saturday and I decided I would like to do a Braille stall. 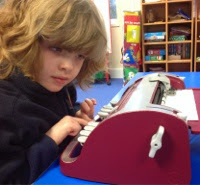 The school were very supportive and I had a clear week so I went into the school three times and taught some year four children grade one Braille. It gave me the opportunity to discuss with the children how Chloe learns, how much extra input she needs and also show them my braille skills. They were fantastic, very responsive and interested. Some of them decided they wanted their own Perkins Brailler but when they felt how heavy they were and that they cost around £600 they changed their minds. I loved being part of the fair, having a stall which offered bespoke Braille bookmarks with my five volunteers showing off what they learnt. I am sure mistakes were made but it was only Chloe and I who would have known. I had some excellent feedback and in a world where I am still figuring out my place it gave me a real boost to be able to demonstrate a new skill I have learnt thanks to my beautiful girl. She came to the fair but it was far too busy and noisy for her to cope with. She was going to help me on the stall but opted for the peace and quiet of home instead. Life isn't easy for her, she will never be able to participate in the same way as her hearing and sighted peers but she is a valued member of her local school. On Saturday I was raising awareness and advocating for my incredible child who is finding her way in life. I am so very proud of her and I am pretty sure she was proud of what I was doing on her behalf. I am already planning what I can do for the Christmas fair.